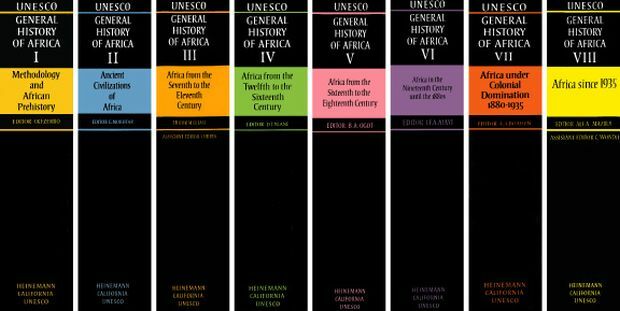 This volume outlines the sources and materials from which African history has been constructed and describes the research methodology employed by historians. It also deals with the development of prehistoric art and early agricultural techniques in the different regions of the continent. This volume covers the period from the end of the Neolithic era to the beginning of the seventh century of our era. This period of some 9,000 years of history has been sub-divided into four major geographical zones, following the pattern of African historical research. The chapters cover the corridor of the Nile, Egypt and Nubia, Ethiopian highlands, Magrhib and its Saharan hinterland, the rest of Africa as well as some of the islands of the Indian Ocean. This volume deals with the interactions between the new civilization, with its substantial religious component, African cultural traditions and the Bantu expansion, which changed the demographic and language map of central and southern Africa. This volume outlines the development of the great empires and kingdoms (Mali, Songhay, Almohads, etc. ), the expansion of Islam, the extension of trading relations, cultural exchanges and human contacts; the development of kingdoms and empires. This period is marked by the end of the great indigenous empires and the early contacts with Europeans. The system of exploitation of Africa's human resources by Europe and America known as the slave trade was put in place and lasted throughout these three centuries. Major revolutions took place in Africa during this period: the Mfecane in southern Africa and the Islamic revolutions in West Africa resulted in the emergence of new States. This volume examines the major forces at work in African society at the beginning of the century, Africa's changing role in the world economy, new trends and processes, and the effects of the abolition of the slave trade. Africa was partitioned and colonized by the Europeans. After military conquest came the commercial exploitation of the wealth of Africa. The intensity of resistance to colonization varied from one region to another, but a new economic and social system linked with colonization was put in place, bringing about unprecedented demographic and political change. This volume examines the period from 1935 to the present day. As liberation from colonial rule progresses, the political, economic and cultural dimensions of the continent are analysed. The main aspects of the ideals, expectations and struggles that forges the history of contemporary Africa are also outlined. The ninth volume of the GHA will cover the recent history since the decolonisation, the end of Apartheid and the place of Africa in the world.